Dr Vernon Coleman: The McCanns: What the Hell is Going on? The McCanns: What the Hell is Going on? 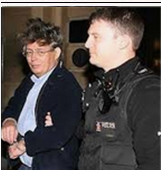 Can I really be the only person who is wondering why the Home Office has given the Metropolitan Police yet more taxpayers’ money to investigate the disappearance of Madeleine McCann? The disappearance of any child is a tragedy. That’s a given. But what the hell is going on here? The police have so far been given over £12 million of taxpayers’ hard-earned money and what have they got to show for it? What exactly have they done with our money? What have their achieved? Why do they think they can usefully spend yet more of our money? The Government officially values a life in the UK as being worth £1.83 million. That’s how much our leaders reckon it is worth spending to save a life – with new drugs, road safety improvements or whatever. So why are we able to spend endless bucket loads of money on a search for one child which does not appear to be going anywhere? And why haven’t the parents of all the other missing children all been given their own special police department and millions of pounds worth of public money? Countless thousands of other children are missing. The official figures suggest that well over 100,000 British children go missing every year. So, why hasn’t £12 million been spent on looking for every missing child? Why doesn’t every missing child merit a special police investigation? That is a rhetorical question. And it’s easy to answer. The fact is that we could not possibly spend £12 million searching for every missing child unless we stopped spending money on the NHS, benefits, pensions, education, defence, roads and everything else. The official figures are 100,000 children missing each year. Multiply that by £12 million and you get 12 trillion. That’s £12 billion billion a year – every year. (It’s a lot of money My calculator couldn’t cope. I had to do the sum by hand.) That is considerably more than the UK’s entire Gross National Product. If I were the parent of a child who had gone missing, I’d be spitting feathers at the fact that the McCanns seem to have had special treatment right from the start. 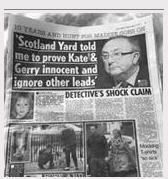 And how and why have so many senior politicians become involved in the McCann case? Do you know how to get through to the Prime Minister’s office? If your child was missing would ringing the Prime Minister or the Chancellor of the Exchequer be one of your first priorities? The McCanns seem to have managed to get hold of the Prime Minister, the Chancellor and the Pope. 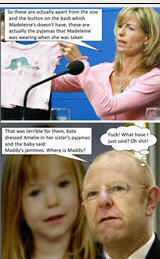 Why weren’t the McCanns told to use all the public money in their Madeleine Fund for the search for Madeleine? Wasn’t that what the money was donated for? Why have the McCanns got away with not answering the questions I listed in other articles on this website? And am I the only person in Britain who doesn’t wonder if things might have been different if Madeleine’s parents had been, say, a pair of ordinary shop assistants without the ability to obtain access to senior politicians? Am I alone in wondering if it could be remotely possible that a pair of ordinary citizens might perhaps at some point in the last 11 years have been cautioned, questioned, arrested and taken to court to answer some of the important questions which still remain unanswered? Re: Dr Vernon Coleman: The McCanns: What the Hell is Going on? 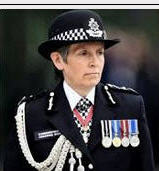 The former Deputy Chief Constable of Greater Manchester Police, John Stalker, told the Sunday Express: “My gut instinct is that some big secret is probably being covered up. “I have watched the investigation into the Madeleine McCann case drag out for six months. “One thing above all worries me: Why have the McCanns and the seven other members of their group – the Tapas Nine – remained so silent? “Unlike other high-profile cases I have worked on, not one of them has been prepared to break ranks or really come out and support each other. “After all this time and pressure, I cannot believe that nobody wants to speak. This can't be about a missing child, so what the hell is it? I find the general silence of The Tapas group (However many members there are exactly) ever since......very, very extraordinary. I don't - partners in crime . It's a P A C T !!! Even families, friends, colleagues, associates, neighbours, gangs, communities etc. don't grass on their own. I didn't like to say. Whatever has happened in this case, it's us against the Establishment. In answer to Dr Coleman's question....no you are most definitely not alone in thinking what you are thinking.All the people I know have an opinion about this case and it is not good for the McCanns and friends of course, since most people I know believe that they are guilty of something that they have not answered for [ranging from neglect, concealment of corpse, through to obstruction] but it is also not good for law enforcement. 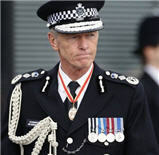 If the perception exists that some people can evade the normal procedures that the Police undertake in criminal investigations,for whatever reason, then the Police and the Establishment cannot expect the general public to unquestioningly either respect or co-operate with law enforcement.Consent will go out the window. In this case, there does not seem to be one person willing and able to break the cycle of embarrassment that surrounds this case. If the Law can pick and choose who will face the consequences of their actions,then don't be surprised if eventually the rule of law goes out the window. And that is why we are seeing the rise of private "police" forces such as TM Eye, AGS and others. The police force has become much more of a business with budgets & targets and thus anything that isn't "profitable" in terms of guaranteed results is not worth doing. 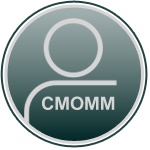 Things such as Class B (and sometimes Class A) drug infringements, vehicle theft, burglary and many others that I'm sure forum members will add. @BlueBag wrote: Whatever has happened in this case, it's us against the Establishment. I had an extraordinary conversation with someone today - quite intelligent - who thought we can trust our Governments and what you see is what you get (ie. current democracy works and no need to worry because "I'm alright"). @polyenne wrote: If the Law can pick and choose who will face the consequences of their actions,then don't be surprised if eventually the rule of law goes out the window. The rule of law is going out of the window because people see every day how some are treated very leniently, but they are normally the ones with money and the right connections. There should be no need for private forces. A zero tolerance approach would soon stop it but for some reason TPTB seem too thick to understand that - maybe because some are afraid where it woud leave them? The single fact that points to Maddie's death being 'an inside job' is simply the fact no low-life has stepped forward to claim that £2.6 million reward! I'd turn in any acquaintance for that sort of money and a guarantee of protection new identity so I could go off and enjoy th emoney! So why has no-one claimed the £2.6 million! I was only thinking that myself yesterday, whoever put up that reward is pretty certain they won't be paying it.